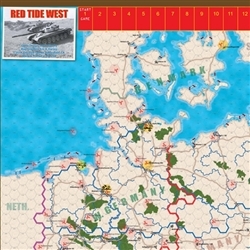 Red Tide West is a wargame that simulates a hypothetical Warsaw Pact invasion of West Germany in the late-1980’s. 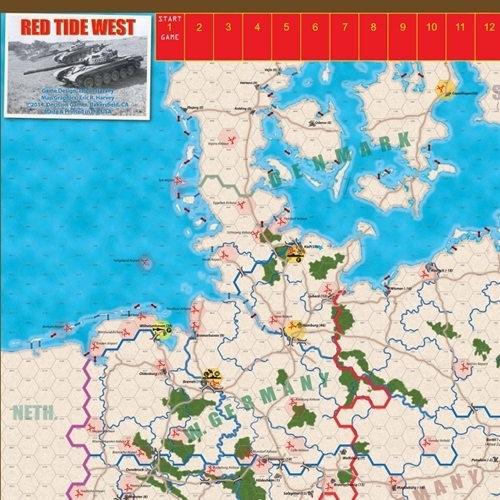 Red Tide West also presumes a wider conflict beyond the scope of the game, but postulates West Germany to be the so-called “center of gravity” for the entire war. In other words, regardless of what is happening in, say, Scandinavia, or the Balkans, or the Middle East, etc., the presumption here is that the war will be won or lost in central Europe. To wit, if the Red Army cripples NATO and overruns West Germany, it is assumed that diplomatic negotiations will then suddenly become advantageous to both sides. 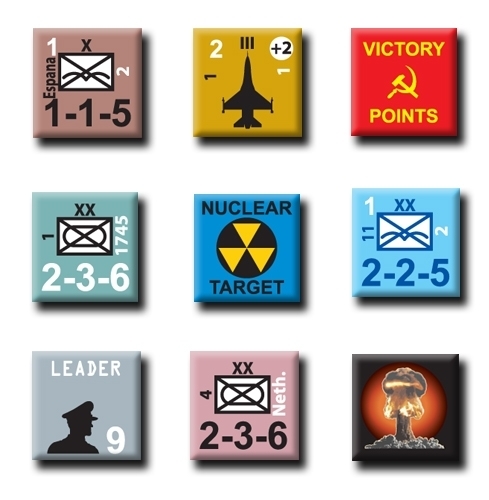 For the Soviets, they would be satisfied to end the war with their substantial gains, not to mention the distinction of being regarded by the world as having won the war, especially if a nuclear exchange had not yet occurred. NATO, on the other hand (and especially the French) would want to end the war before the Red Army rolled into France proper, and certainly before a full-blown nuclear war erupted (or escalated further, if a limited nuclear exchange had already occurred). On the other side of the coin, if the Red Army’s drive into West Germany is halted or thrown back, the war will have run its course then and there, regardless of what is happening elsewhere in the world. Negotiations would be underway, regardless, but the Soviets would have very little to gain (and actually much to lose) by perpetuating a war that is then being perceived as the ultimate reproach of the Soviet state and Communist ideology. Indeed, before Soviet battlefield defeats became prolific and pronounced, and especially before NATO units began to push across the borders of East Bloc countries, the Soviets would be confronted with a choice of trying to negotiate an end to the war before the Warsaw Pact alliance collapsed (or worse, defected…as if a widespread repeat of the Hungarian Uprising of ‘56), or resort to nuclear strikes to avoid a total defeat (a decidedly undesirable solution when considering NATO’s predictable response). In any case, Red Tide West presumes a short war whereby the final dispositions will be known within a matter of weeks. 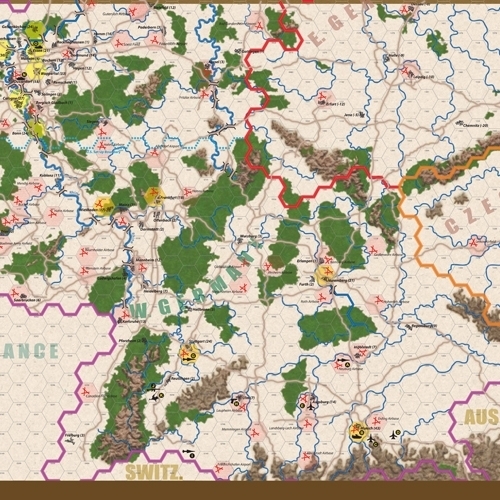 The Soviet timetables expected the Red Army to reach the French border within 15 days, and therefore the game excludes Soviet “Category C” and “Category D” reserves, which could not have been mobilized within the time frame of the game…whether or not the Soviet timetables were realistic in the first place. 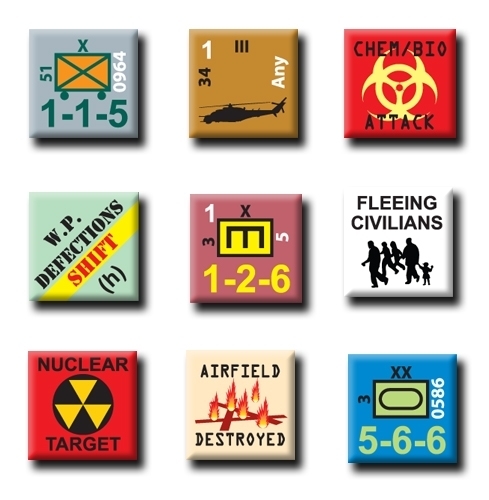 The game includes two maps (22"x34”) and 560 counters.